When you see technicians working on telephone poles and electric lines, you’re probably not thinking about what they’re wearing. Actually, you’re probably not thinking about anything other than that human being is 40 feet in the air. But the clothes that technicians and workers wear are incredibly important. 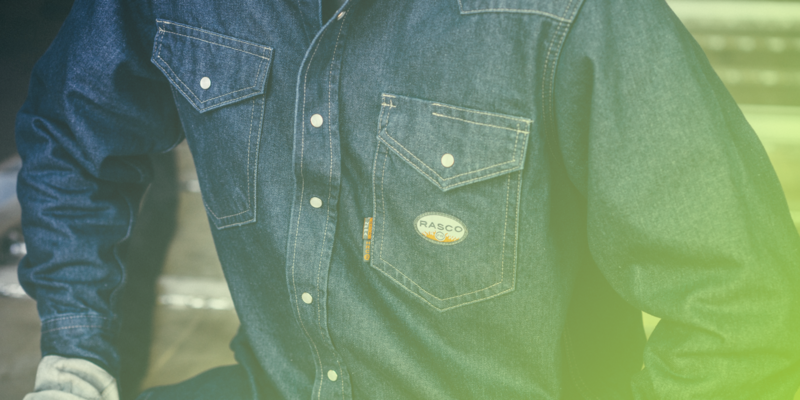 And for the last 30 years, Rasco has been creating high-performance workwear that keeps them safe. Because hey, if you're working 12 hours a day while totally uncomfortable, you're more likely to be injured because you're not fully focused on your work. Comfort’s important—for not just enjoyment, but also safety. So, does an apparel company really need a CRM? Luckily, one of Rasco’s Canadian sales reps (who’s now a Sales Manager), Deator, just so happened to be a Copper beta tester in a previous role at another company. After the team started to use Copper at trade shows, Tarek saw a marked difference in conversions. Using Copper also helped the team collaborate better. Before, when leads contacted Rasco, they only occasionally got passed on to the right team member because of a lack of coordination. That’s the kind of thing that happens when you don’t have automated tasks, proper account lists, or lead routing assignments. Plus, Rasco’s reps get about a hundred emails a day. The result: even though they had all of this business approaching them directly, the conversion rate was low—by Tarek’s estimates, around 30%. Visibility is a must, no matter how big the team. Rasco’s sales team is made up of both employees and contractors across the US and Canada. Aligning such a large group is no easy feat. But by creating accountability through a single, accessible source of truth, management can quickly identify areas that need support. And of course, no more data entry. In addition to better teamwork and transparency, the time savings can’t be overlooked. Especially when we’re talking about hours saved—per person—every week. “The average salesperson on our team using Copper is saving five to 10 hours a week just because they don't have to go back to their hotel room on the road and type up emails,” says Tarek. Learn how Tank Connection—a leading storage tank company—transformed the way it manages data, its sales structure + customer relationships with Copper CRM. Learn how SunFunder multi-continental team is using Copper CRM as they transform the solar financing industry. Learn how a California-based recruiting firm uses CRM to effectively manage their VC partners and clients nationwide—and is continuing to grow, fast.